Molefe had an opportunity to come clean to parliament’s portfolio committee on public enterprises when he gave testimony but, once again, declined to, says Madonsela. Former public protector Thuli Madonsela has accused former Eskom CEO Brian Molefe of being a mischievous and blatant liar over his ties with the Gupta family, currently clouded by allegations of state capture. Molefe last week had an opportunity to come clean to parliament’s portfolio committee on public enterprises when he gave testimony but, once again, declined to, said Madonsela. Molefe’s five-hour testimony to the committee – currently holding an inquiry into state capture at the power utility – saw him try to dissemble Madonsela’s 2016 State of Capture report, dismissing it as “just fresh air”. But the former public protector would not have it. “Concerns that the report was rushed and is incomplete are fair. The report points that out itself,” Madonsela told The Citizen. In his testimony, Molefe admitted to being in phone contact with the family, but said this was only in relation to coal quality. 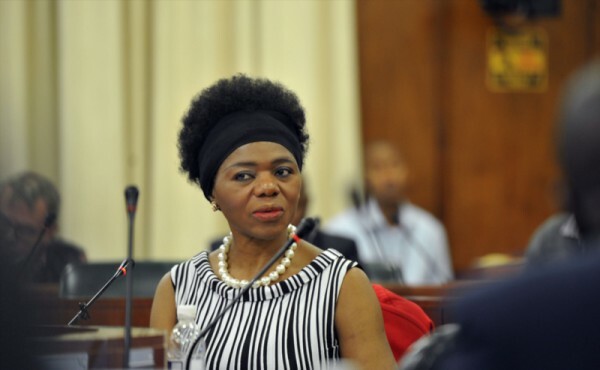 “It’s clear that that prefacing is courteous and seeks to avoid judging, but the evidence is then presented,” Madonsela said regarding her report. “For example, the evidence that Molefe was in Saxonwold is based on triangulated cellphone signals and the Gupta security register. “While still on lies, Mr Molefe should know the power of technology in strengthening forensic investigations. Cellphones and TV don’t lie. The evidence against him is on both phones and don’t lie. This includes lies told post-state capture investigation about the circumstances of his resignation, or retirement, from Eskom.” On live television, Molefe admitted to being in Saxonwold and then pointed to a “shebeen being there”, Madonsela pointed out. He then said “because of possible trouble with his wife he was not going to say if he went to the shebeen”. That was meant to leave a distinct impression in the public that he only went to the shebeen. “He had a duty and opportunity during that media briefing to say if he did visit the Guptas, but chose to tell an opaque lie.” Molefe told the public, “he was not given an opportunity to state his side of the story”, she added. In her report, Madonsela requested a judicial inquiry into state capture, but this had been delayed due to a court challenge, by President Jacob Zuma. Molefe was right that a commission of inquiry has taken far too long “with damaging impact on those that are truly innocent but currently implicated”, Madonsela said. The parliamentary inquiry resumes this week.